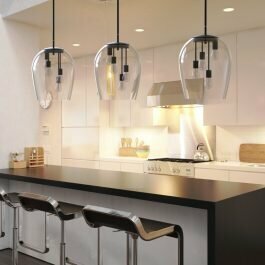 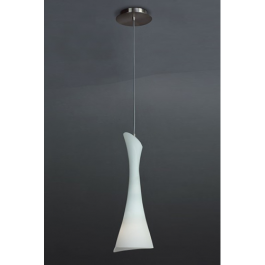 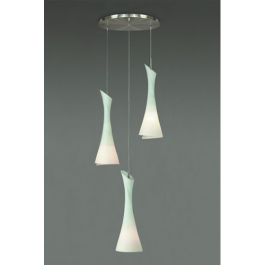 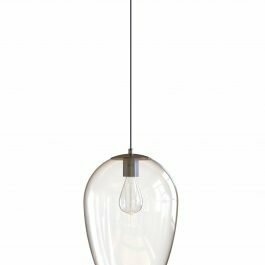 Blown glass pendant shades, adjustable height for each pendant. 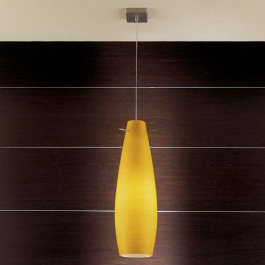 Satin finish nickel ceiling plate. 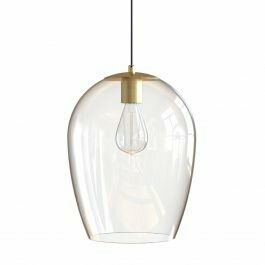 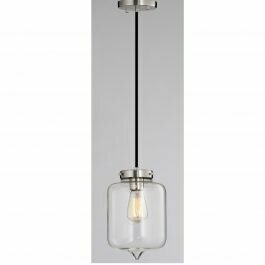 Blown glass pendant shade, adjustable height. 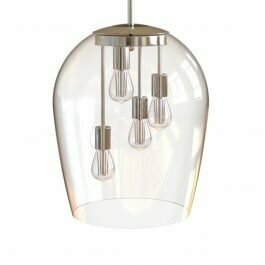 Satin finish nickel ceiling plate. 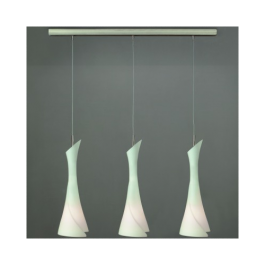 Decorative modern series, well-suited for every need. 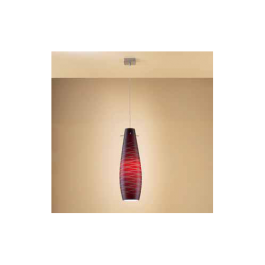 Hand-ground garnet glass, opaque nickel and titanium grey mounting. 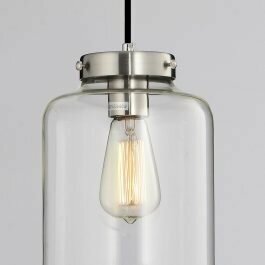 Hand-bevelled amber coloured glass, opaque nickel and titanium grey mounting.